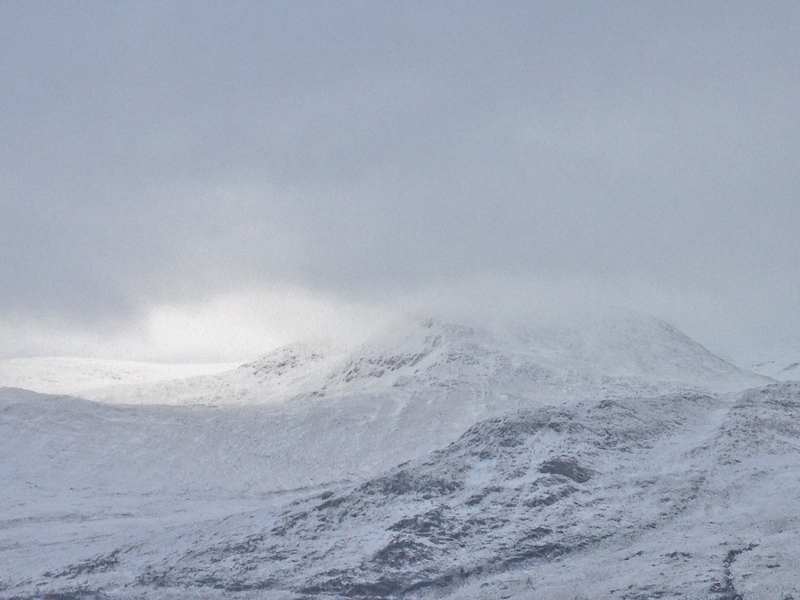 SAIS Torridon Blog » Blizzard Conditions at Times. A day of frequent blustery and intense snow showers with significant drifting in very strong Northerly winds. Overnight winds gusting up to 90mph at 800m. Some deep snow drifts noted of well over 2m depth. Snow showers continuing through Monday although more scattered and less intense and remaining cold. 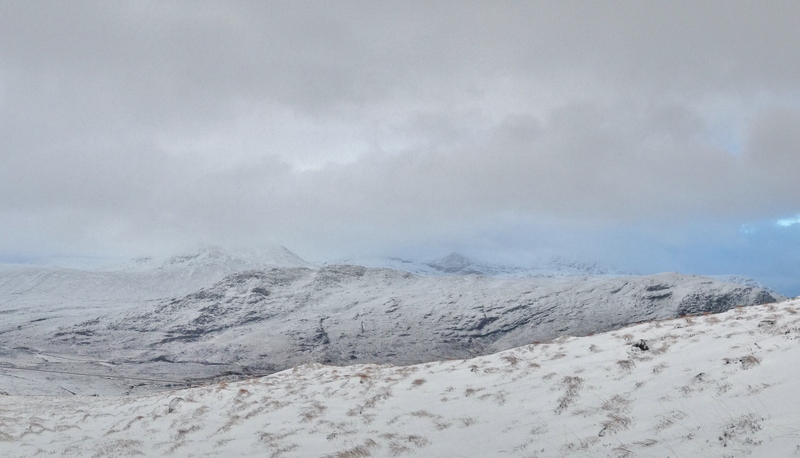 A slight break in the snow showers and a view onto the main Fannaich mountains. In general, the snowpack is relatively shallow. Summit cloud persisted throughout the day. Beinn Liath Mhor Fannaich, North Top. Scoured on NW aspects (right side), snow deposition (windslab) on E aspects (left side). 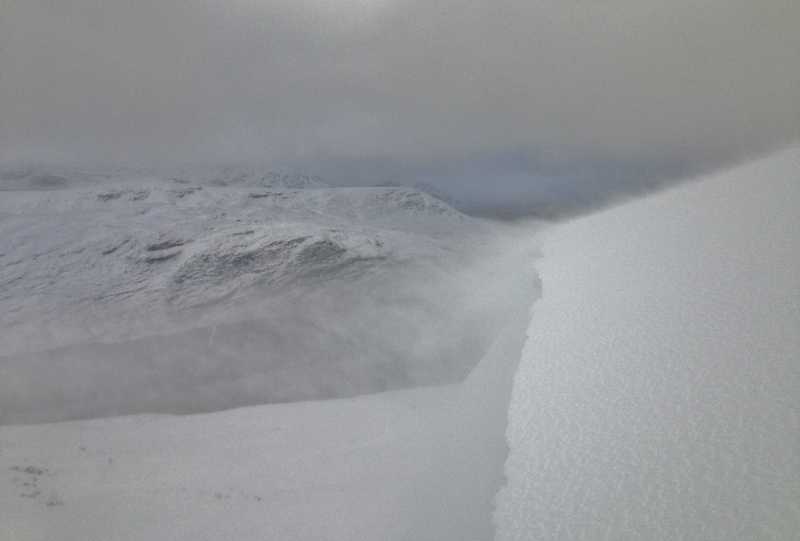 Localised deep snow drifts on SE aspects of Meall nan Doireachan. 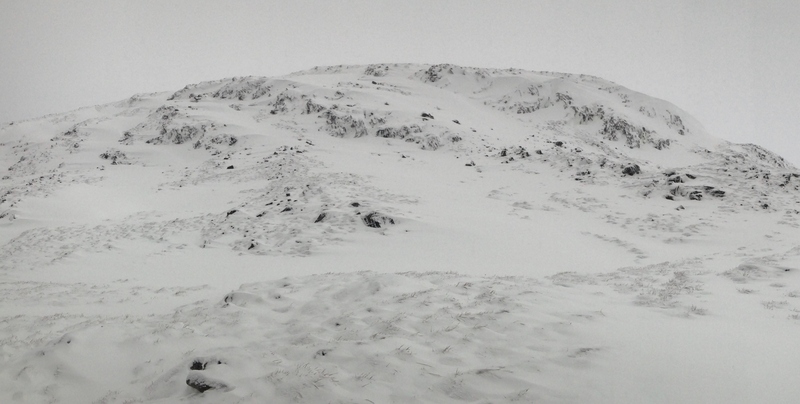 Crusty snow on windblown (grey) areas. Spindrift and windslab building on steep sheltered slopes. 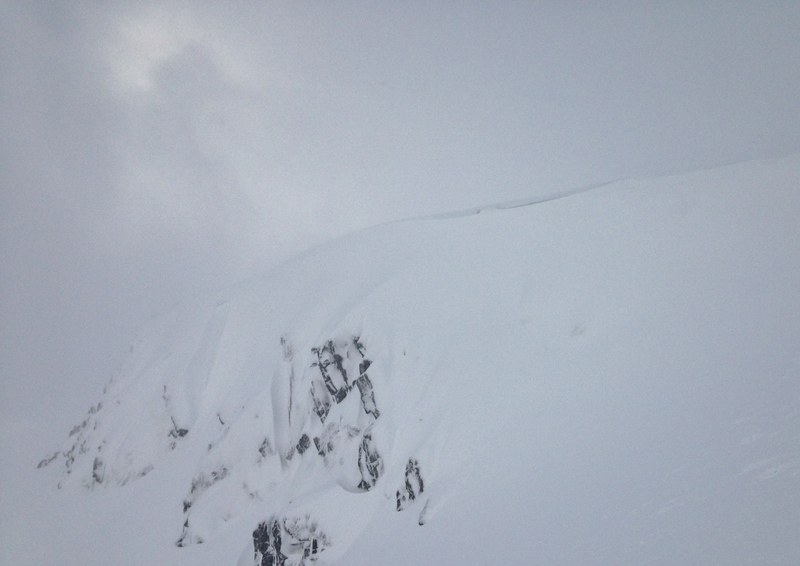 Cornices developing above steep sheltered slopes.